Vocabulary Activities provides a wealth of ideas for introducing, presenting, expanding, exploring and practising vocabulary. 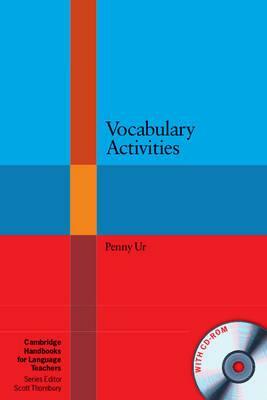 These teacher-friendly activities are clearly written and wide-ranging, and the book also contains a detailed guidelines section outlining the key principles involved in teaching and practising vocabulary. Also contains an extra chapter of activities for advanced learners. The accompanying CD-ROM contains print-ready materials which can be put to immediate use in class.